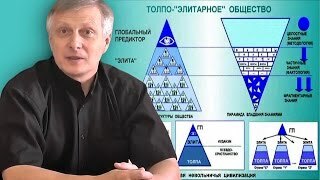 This episode is taken off political analyst’s Valeriy Piakin’s channel – his explanation of recent events confirms what many suspect. In the past few months, an unusual amount of individuals in pro-Russian fields of work have passed away. Starting with Arsen Pavlov (Motorola), a Commander in the Donbass region, followed by Russian Ambassadors to Turkey and India; Mikhail Tolstyh (Givi) – another high ranking Commander in the Donbass, and now – Russia’s permanent representative to the UN, Vitaly Churkin. Piakin’s explanation posits that all of these individuals were victims of US intelligence operations – but why? The intention, according to Piakin, is to remove individuals who stand for the Minsk agreement, so that it can no longer realistically be implemented. The Minsk Agreement (a ceasefire, followed by elections and self-determination in Eastern Ukraine) is counterproductive to the elites’ work. If Piakin is correct, then those who defend Minsk – whether on the battlefield or through the information war – have reason to be concerned for their safety. People like Zakharchenko of the Donbass as well as Russia’s extended diplomatic community should ramp up their security against espionage.